The Rajasthan Subordinate and Ministerial Services Selection Board (RSMSSB) has released the dates for Document Verification for Physical Training Instructor (PTI) Grade III Exam 2019. The Physical Training Instructor (PTI) Grade III posts for TSP and Non-TSP exam was conducted on 30 Sep 2018. The RSMSSB Livestock Assistant Exam Result was released on 29 Jan 2019. The document verification for the RSMSSB PTI Grade III will commence from 13 Feb to 19 Feb 2019. 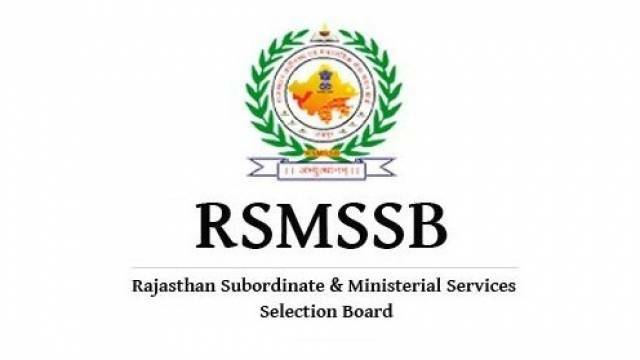 The Rajasthan Subordinate and Ministerial Services Selection Board (RSMSSB) has released the dates for Document Verification for Physical Training Instructor (PTI) Grade III Exam 2019. The Physical Training Instructor (PTI) Grade III posts for TSP and Non-TSP exam was conducted on 30 Sep 2018. The RSMSSB Livestock Assistant Exam Result was released on 29 Jan 2019. Candidates who have qualified the PTI Grade III Exam 2018 should visit the official website to check the dates for document verification. The document verification for the RSMSSB PTI Grade III will commence from 13 Feb to 19 Feb 2019. The Answer Key for Livestock Assistant Exam has been released by the Rajasthan Subordinate & Ministerial Service Selection Board. Students should keep visiting the official website for more alerts and news regaring the recruitment.